The Vancouver Condo Buzz » The Port Coquitlam Shaughnessy on Lions Park High-Rise Tower Residences – Luxury PoCo Condos for Sale – 26 Stories Tall! 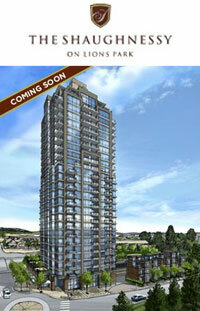 The Port Coquitlam Shaughnessy on Lions Park High-Rise Tower Residences – Luxury PoCo Condos for Sale – 26 Stories Tall! Brought to you by Onni Group of Companies, this twenty six storey Port Coquitlam condo tower residence will be situated adjacent to Lions Park in PoCo real estate market and only steps from the beautiful Traboulay Trail. Offering a wide range of one and two bedroom homes plus an exclusive collection of penthouses, the Shaughnessy on Lions Park Port Coquitlam condos will feature spacious floor plans plus outstanding views of the Coquitlam River, downtown Port Coquitlam and the Coast Mountain Range. On the podium level of the pre-construction Port Coquitlam Shaughnessy Condos on Lions Park will be a lush Sky Garden with tranquil water feature, meditative garden, open lawn, putting green, kid’s play area plus the prestigious Club Shaughnessy with a fully equipped fitness center. The pre-construction PoCo Shaughnessy on Lions Park Port Coquitlam condos is located on Shaughnessy Street directly opposite Earls. For more information as it becomes available to the general public, please visit www.onni.com or you can contact an Onni sales representative at 604.461.2750 today. 27 Storey Shaughnessy Port Coquitlam Condo High-Rise: The Shaughnessy on Lions Park is a new Port Coquitlam condo high-rise developed by the Onni Group of Companies. With a price range between an affordable $224,900 for one bedroom suites to a starting price point of $301,900 for two bedroom layouts, the new Port Coquitlam condos at Shaughnessy on Lions Park have been a huge hit amongst first time homebuyers and investors. Some of the great features of the Shaughnessy Port Coquitlam condo high-rise includes the massive floor to ceiling windows in addition to the natural surroundings of the park situated just next door. This is the first Port Coquitlam condo high-rise to hit the city and it has been highly successful thus far. Completion is scheduled to b the Fall of 2012, and the amazing condominium high-rise will be 27 storeys in height featuring great riverside green spaces, recreational trails and playgrounds for children. Not only that, but the new Shaughnessy Port Coquitlam condos for sal will also feature an outdoor venue that is great for summer concerts and other great events for the local community. Through the floor to ceiling glass windows of the Shaughness Port coquitlam condos, residents will have great views of the North Shore mountains in addition to the Fraser River and the city skyline as there is no other high-rise building in the area to obstruct your views. In addition, Onni has designed spacious floor plans that are much bigger layouts than what you would find in downtown Vancouver or elsewhere in the Lower Mainland. What Onni did right is to provide a fully furnished display home using the smallest layout here at the new Port Coquitlam Shaughnessy on Lions Park condo high-rise, so that prospective homebuyers would be able to visualize the smallest space available and see that they are much larger than most other new offerings. From polished composite counters to stainless steel sinks and from two colour schmes to choose from to trendy interiors, these Port Coquitlam condo high-rise suites are spectacular in every way. In addition to the regular high-rise condos, the Shaughnessy on Lions Park penthouses and unique five storey townhomes with rooftop decks are also now selling. WHY BUY in Port Coquitlam? The Evergreen SkyTrain Line Funding Is Approved! POCO CONDOS AT THE SHAUGHNESSY ON LIONS PARK – Coming Spring 2010! 1-3 Bedrooms, Townhomes & a Penthouse Collection coming soon to the Port Coquitlam real estate market place by Onni Developers. The Shaughnessy at Lions Park Port Coquitlam condos for sale are launching soon! Thank you for your interest in The Shaughnessy on Lions Park. We are pleased to update you with the latest information on Onni’s exciting new PoCo real estate development in Port Coquitlam. Redefining Port Coquitlam’s Skyline Today. Overlooking a lush park and river, The pre-construction Port Coquitlam Condo development at the Onni Shaughnessy on Lions Park will be the first condominium tower residence to grace Port Coquitlam’s skyline. At 26 stories high, this unique pre-construction Port Coquitlam condo residence will be the first of its kind in height, design, and environmental consideration. On the fourth floor, accessible to all residents, is Club Shaughnessy Port Coquitlam condo amenity centre complete with rooftop garden, indoor amenity lounge, state-of-the-art gym and more. First for Convenience, here at The Shaughnessy on Lions Park real estate development by Onni. Perfectly situated in the heart of downtown Port Coquitlam, adjacent to Lions Park, and minutes away from the West Coast Express and Coquitlam Centre Mall, The Shaughnessy on Lions Park condos combines the best of urban convenience and outdoor adventure. The condo sales staff will be contacting you shortly with more information, but for immediate assistance, please contact Laura Brown at 604 377 7136. Sincerely, Laura, The Shaughnessy on Lions Park Port Coquitlam condos for sale – Direct: (604) 377 7136 – Email: lbrown@onni.com Web: www.onni.com. REDEFINING PORT COQUITLAM REAL ESTATE’S SKYLINE is Shaughnessy on Lions Park condo high-rise tower residences. This PoCo real estate development by Onni features 1-3 Bedrooms, Shaughnessy Port Coquitlam Townhomes & a Penthouse Collection. The first presale Port Coquitlam condo tower to grace PoCo real estate’s skyline! Standing 26 stories tall, with its environmental consideration, proximity to both downtown Port Coquitlam and Lions Park, and its extensive amenity level ‘Club Shaughnessy’, The Shaughnessy on Lions Park Port Coquitlam real estate development will be the first of its kind.